You know how much I love the Clean & Clear foaming face and how it helped me fight off skin infections when I was in studying college. If not, please read my previous review of the original Clean & Clear foaming face wash. I never thought the classic face wash could even get better. But, Clean & Clear got me wrong. They added two of my favorite natural ingredients in the face wash - Rose Water and Honey. Did you noticed that rose on the bottle? This is just perfect. But, does it gets better or it just a random product whose glory will fade away? Availability: Though it is a new launch, it is easy to find. I purchased it from a local shop. It is also available in online stores. Fragrance: I was expecting it to have the artificial strong rose scent that comes in most drugstore products. But, the good news is, it is not. It smells like real roses - somewhat like The Body Shop British Rose Shower Gel. It feels mild, pleasant, and refreshing. Color: Light pink which gives it a youthful look. 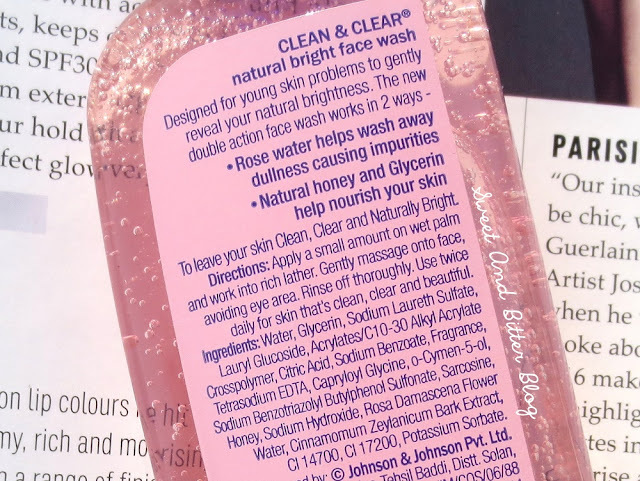 Ingredients: Water, Glycerin, Sodium Laureth Sulfate, Lauryl Glucoside, Acrylates/C10-30 Alkyl Acrylate Crosspolymer, Citric Acid, Sodium Benzoate, Fragrance, Tetrasodium, EDTA, Capryloyl Glycine, 0-Cymen-5-ol, Sodium Benzotriazolyl Buytylphenol Sulfate, Sarcosine, Honey, Sodium Hydroxide, Rosa Damascena Flower Water, Cinnamomum Zeylancium Bark Extract, Cl 14700, Cl 17200, Potassium Sorbate. Efficacy: Forgive me for this but I had to compare it with the original one to give you a better idea how the face wash is. The pink face wash is gentler and moisturizing compared to the original one. The natural bright face wash removes oil and light makeup. It washes off easily to give a soft and supple skin. This might be the work of rose water and honey. The original does not have SLS, but this one has. But, it foams less than the original one which I appreciate. I do not know if will help fight off infections/rashes/acnes like the original one as I could not test on that. But, the natural bright face wash contains cinnamon so, one can expect good results as cinnamon and honey are famous for their acne clearing properties. Overall: After using it for few days, I do feel that I have started to like it. I even reach out to it more than I do to the original one. The loved the fresh real rose fragrance. The ability to remove oil without drying and adding moisture to the skin will make it great for all skin types. I also appreciate that is it not priced high. I am sure you much have tried the original one at least once. If you have liked that one then you will enjoy using this Natural Bright one as well. 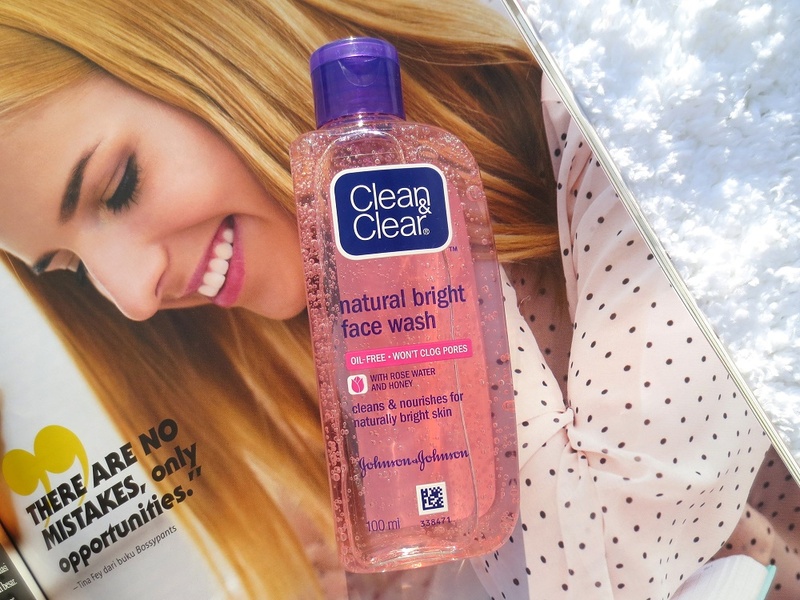 I tried the all new Clean & Clear Natural Bright face wash in association with BlogAdda.com. If you want to reveal your natural brightness you can buy it here.